In Catalonia, about 48.000 people suffer serious housing problems, of which 11.500 don’t have a home, according to official numbers. Diejenigen Personen, die auf natürliche Art direkt von den im Projekt ausgeführten Aktionen begünstigt wurden. 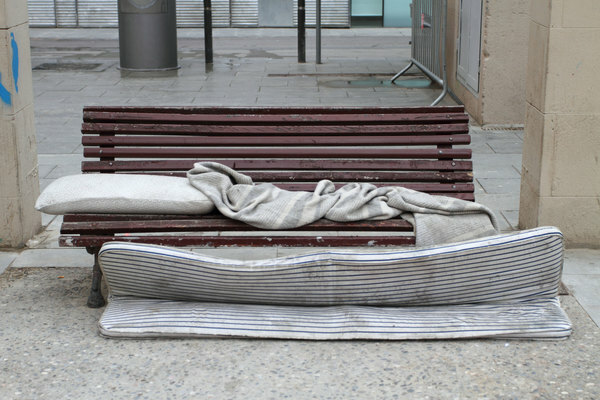 Arrels is an entity which since 1987 has been devoted to the attention of homeless people in the city of Barcelona. They have accompanied through all these years more than 9.000 homeless people in their path towards autonomy, offering them housing, meals, social attention and health care. Through the Housing First Program, Arrels is working on providing an adequate and affordable housing for people who have been living on the street and who have started to change their situation. For Arrels, housing is the starting point and the basic condition necessary to solve the rest of the challenges and situations which are compromising people. Attending homeless people who face the most consolidated phases of social exclusion so that they can be as autonomous as possible again. Raising awareness among citizens about the reality of homeless people. Reporting unfair situations and making suggestions to help transform the reality of social exclusion. 18 homeless people will have access to decent housing and will receive emotional support. Diese Seite verwendet Cookies. Wenn Sie weiter surfen, gehen wir davon aus, dass Sie die Verwendung akzeptieren. Mehr Information erhalten.